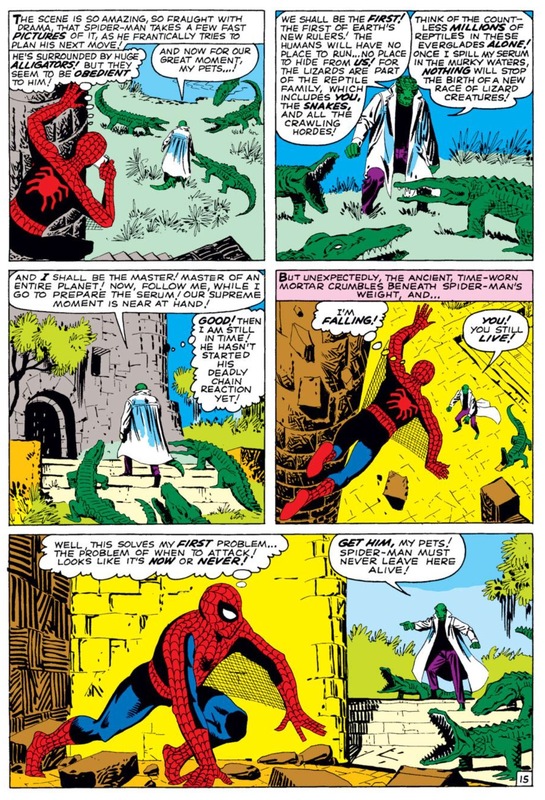 I feel like I’ve been saying this a bunch lately so apologies for the redundancy, but I probably would have quit writing Chasing Amazing years ago if I didn’t get the sense that there was a passionate readership out there that was actually engaged in this Quixotian “quest” of mine to collect every issue of Amazing Spider-Man comics. It’s not that I don’t enjoy reading and talking about Spider-Man comics every chance I can, but as someone with a wife, a toddler, a job, and countless other responsibilities, finding time to write posts regularly about my hobby would feel like a ridiculous waste if there was nobody out there reading and sharing in these experiences with me. That probably makes me sound a bit vain, but this whole spiel is coming from a place of honesty and sincerity. I have never felt the electricity of my community more than when I announced last month that I had purchased (last August) my long sought after copy of Amazing Spider-Man #1. I received so many enthusiastic comments on this site, Twitter and Facebook, I actually found the whole thing quite overwhelming. At the end of the day, I’m just some stranger on a laptop who decided he was going to tell anyone who cared out there about the boxes of funny books I keep as a collection. And so many of you responded to that ASM #1 post as if you’ve known me my entire life and were actively cheering me on to succeed. 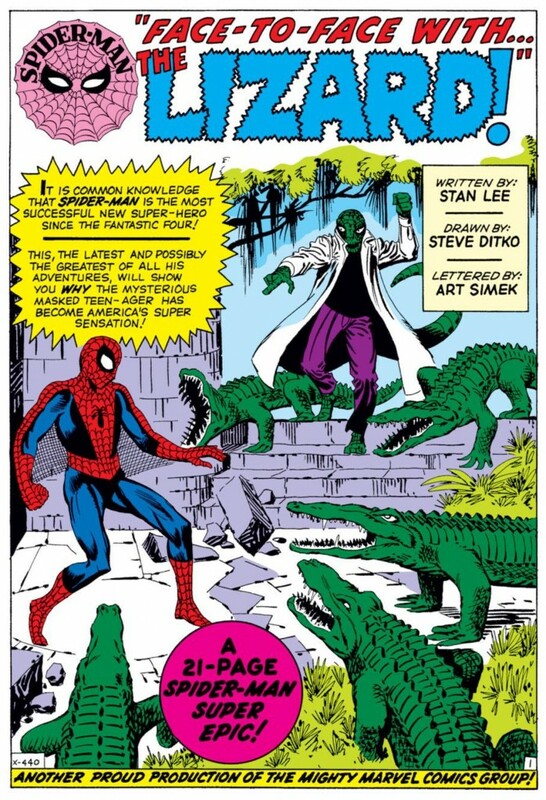 Because of that overwhelming response, the day I published that ASM #1 post ended up being one of the best days of my life – even better than the day that I actually purchased the comic (a day that will forever exist on the cutting room floor of a television production studio). 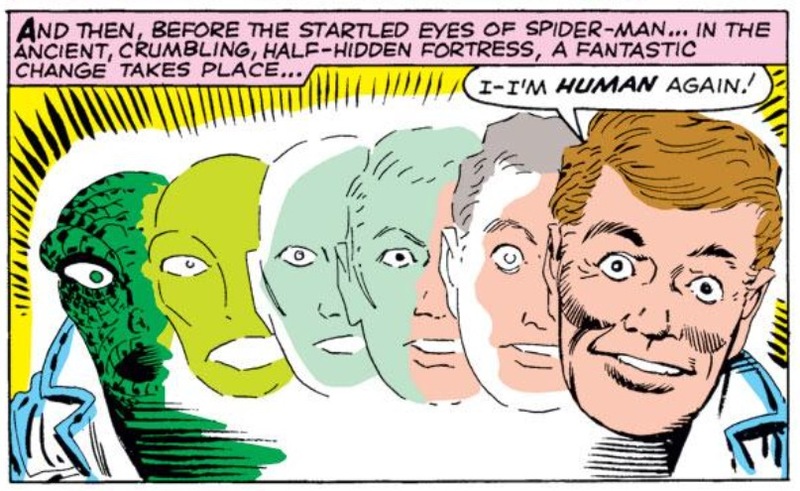 If I ever find myself wavering about my commitment to keep writing this blog, I will just think back to that ASM #1 post and how you all cheered me on that day, and I’m certain I’ll find the drive to keep posting. Besides, the quest isn’t over yet. I have two more issues of ASM to pick up. No, I promise that I wasn’t sitting on this news for months like I was when I finally disclosed that I had acquired ASM #1. Over the past two weeks I have stumbled upon a VG copy of ASM #6, the first appearance of one of the classic Stan Lee/Steve Ditko characters, the Lizard. That means I’m just a copy of ASM #3 away from having the entire run of Amazing Spider-Man (#1-700). What makes my acquisition of this comic memorable for me is the fact that it was one of my awesome readers who alerted me to its existence. A few weeks ago, I got a message on Twitter that this person had walked into a local comic book shop and saw that they had two copies of ASM #6 on display. He sent me the name and phone number of the store and from there I was able to broker a deal for one of the comics. This wasn’t the first time a reader had alerted me about an opportunity to purchase one of my missing issues, but this was the first time such an interaction actually resulted in me buying the comic. In the past, other readers have sent me messages containing “leads” to one of my remaining ASMs, but these tips have never worked out. Either the comic is too expensive, the condition is deplorable, or the timing just isn’t right for me to make a purchase. Considering I’ve “officially” checked off two of my remaining four issues from my checklist over the past six months, I really didn’t expect to be making any other major purchases for a little while, but I’ve been hunting these comics down long enough that I know sometimes the stars align and you have to give in to your base instincts or risk being regretful. I don’t think I’ve ever regretted NOT buying a comic in the past, but I would have if I took a pass on this copy of ASM #6. The Lizard is one of the great Spider-Man villains in that he’s the first character Lee and Ditko created that had added layers of complexity from his very first appearance. 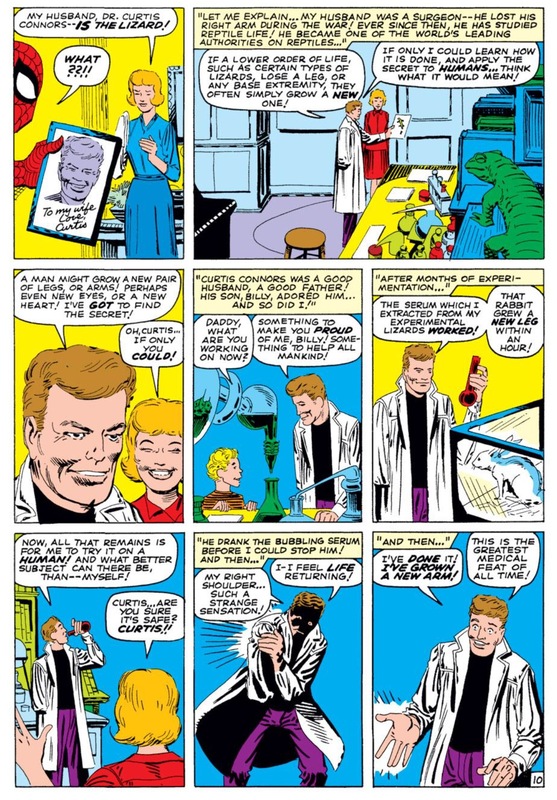 Over the years, creators would find ways to make villains like Vulture, Sandman and Doc Ock sympathetic, but the Lizard’s alter ego, Doctor Curt Connors, was always portrayed as being reluctant to turn into his monstrous form. 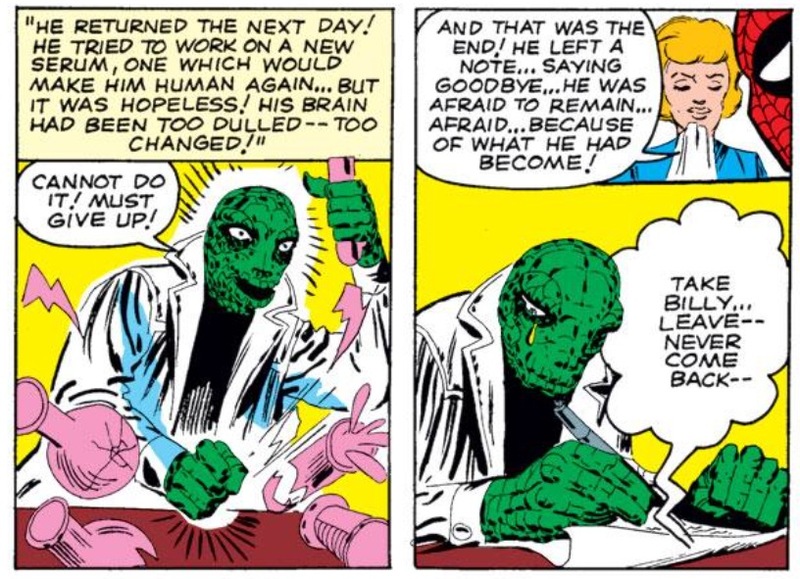 In recent years, some creators have actually attempted to reverse the Lizard’s complexity by writing stories that show Connors embracing his inner-monster. While I understand the need to “update” characters that are more than 50 years-old, I think change misses the point of the character. Finding a low grade but acceptable copy of ASM #6 in my price range became even more difficult after the release of Marc Webb’s The Amazing Spider-Man in 2012. I’ve never actually had it confirmed to me by anyone in the know, but I always feel like the popularity of these blockbuster movies inevitably increases the price and decreases the availability of the comics the films have been adapted from. I guess now that we’re two years removed from the film’s release, I was finally able to find MY copy. 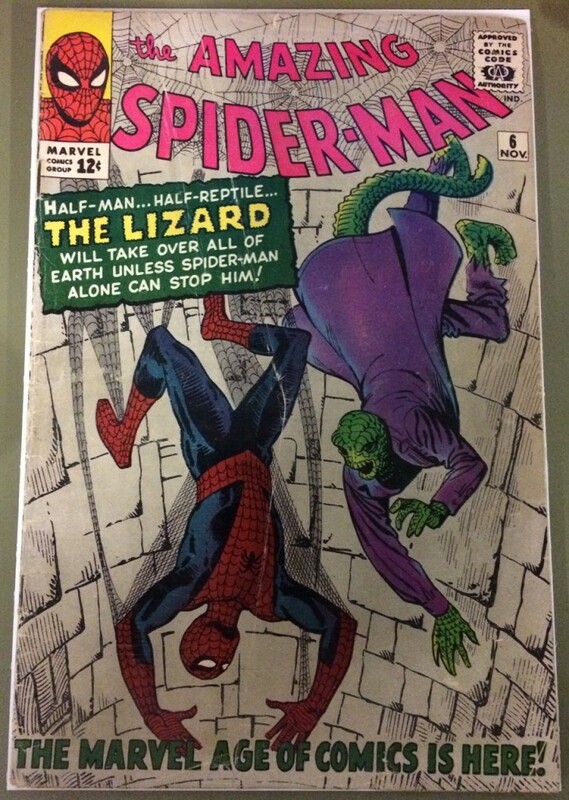 After I had made the purchase, one of the first people I talked to was my Amazing Spider-Talk co-host Dan Gvozden, who’s closing in on completing his own lifelong quest to collect every issue of ASM (he even counts the annuals). He asked me how it felt to be one away and I think my response was something along the lines of “it feels good.” Of course it felt good, but how do I actually FEEL? I don’t think I really answered that question thoughtfully. And even now as I’m stringing words and thoughts together in hopes of being able to hit upon that thoughtful answer, I don’t think I am able to do it. At least not now. Being one issue away feels very similar to being 10 issues away. As long as I don’t have EVERYTHING I’ve been chasing after for all these years, the whole concept of my quest still feels like something out of a crazy dream, rather than something that is now closer to being competed than ever before. At this rate, a copy of ASM #3 could be dropped in my lap tomorrow, I’ll get a post together, and the “chase” will be over. But at the same time, I’ve gone more than 25 years without stumbling across MY copy of ASM #3, so who’s to say it won’t be another 25 years before everything works out “just so” again? One thing I do know for certain is when that day inevitably comes (and it IS inevitable – mark my words) when I complete my run of ASM, I know that there are people out there who seem to be as invested in my chase as I am. The next “Remaining Chase” post I write on this blog will unquestionably be the one I’ve anticipated writing since I first launched this blog in 2011. It’ll be the culmination of nearly a lifetime of collecting and fandom. And most importantly, it will be something that I’ll be able to share with the best readers a blogger could ask for. Great news! I felt genuine happiness and pride when I read you’d bagged ASM1, and it’s more of the same now. But how could I actually feel excited for a total stranger who lives on the other side of the world? Well, I read this blog regularly and look forward to each Spider-Talk podcast. You put lots of thought and effort into your updates – and it’s not even your job. While this might be your own personal quest, you’ve developed it into something that contributes so much to the enjoyment of others. So thanks! And congrats! And bring on what henceforth shall be known as “Ginocchio’s Last Hunt: ASM #3”. The prices have gone up over the years since the Spider-Man movies started. I have been working on my collection and it is hard to get any at a decent price. Congrats! I love the sincere and authentic side of you that comes out in your posts of your remaining chase. I’m glad you have such a supportive community and most importantly your family through this experience! I’m excited for your chase to be completed, but glad you’ve found so much success in online communities that I’m sure you won’t be done writing after you bag #3! Congrats! I know my ASM was one of the biggest of the run for me and I’m sure you’ll find a copy. Have a bottle of bubbly in the fridge for the day that happens! Congrats! What a thrill for you! I will be waiting for that fateful day when you tell us you’re officially done. I wish I’d documented my pursuit of the Avengers as you’ve done here. It’s been a whole lot of fun to follow you on the Chase! I can imagine it doesn’t even feel real that you only have one issue to go. On the other hand you still get to feel the sense of content and happiness in finding that missing issue in your collection one more time. I’ll keep an eye out for a nice copy of ASM #3 for you. Congrats! Congratulations. Love this comic. I remember spending a crazy amount on a very nice copy of it, which was worth it because it’s nice to be able to read the issue again and again without worrying about it falling apart. As you say, Conners’ pathos makes it a real standout of the early Spideys. Wow, Congrats man. Are you planning on doing the same thing with the newest Amazing Spiderman ? Congrats on obtaining your next to last issue! I just began following your quest a couple of months ago, but it has been fun. Since I discovered your site it has become a regular read for me and I try to not miss a podcast. Good luck trying to get that final issue. Maybe the seller will give a discount for sentimental reasons! That is greatness!!! …and now only 1 issue away! The marathon tape is right in front of you, and all your fellow collectors are cheering you on. You guys have GOT to set aside a little segment of the Amazing SpiderTalk to bask in all your glory, when you cross the finish line. Excelsior!! !